Buy the ePub (£15) for Laptop, iPad, etc. John Seddon is back. This time with an uncompromising account of Whitehall’s effect on our public services. It’s a damning read and may cause some serious fireworks. 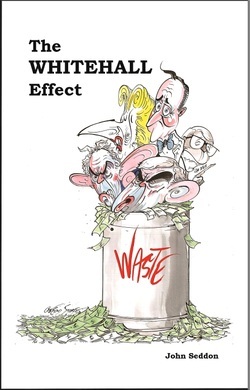 In ﻿The WHITEHALL Effect﻿, John Seddon explains how successive governments have failed to deliver what our public services need and exposes the devastation that three decades of political fads, fashions and bad theory have caused. With specific examples and new evidence, he chronicles how the Whitehall ideas machine has failed on a monumental scale – and the impact that this has had on public sector workers and those of us who use public sector services. The WHITEHALL Effect provides fresh insights into some of the most challenging issues of our time (because of their impact on health, education, policing and all public services) and reveals the unprecedented opportunity we now have to create the public services we all deserve. “We need a new paradigm that puts the citizen/customer first, drives value into the lives of recipients and costs less… This is the challenge behind what needs to be our 21st-century vision for services-to-the-public. Lord Victor Adebowale in the Foreword. Why don’t public services work very well? One key reason is that they have been 'industrialised'. Part 1 explains why call centres, back offices, shared services, outsourcing and IT-led change almost always lead to service failure. It explains, in particular, why 'economies of scale' are a myth. Part 2 proposes a better (and tried-and-tested) alternative to the alienating and unresponsive experience of industrialised public services. Good services are attuned and sensitive to peoples’ needs. Where the 'industrialised' approach tries to drive down costs but invariably drives them up, the better approach – managing value – drives costs down significantly. 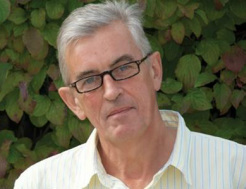 Part 3 challenges conventional thinking and received wisdom about public services. Targets, inspection and regulation have to be part of the solution, don't they? Seddon explains why they're actually part of the problem and shows that the most effective lever of change and improvement is to stop 'managing' the people (public sector staff and managers) and start managing the system they work in. Part 4 discusses some of the current fads in public-sector reform: ‘choice’, ‘managing demand’, ‘nudge’ and ‘lean’. Politicians pursue them because they are plausible and fit their narrative, the story they like to tell about reform. But these fads only make public services worse or, at best, detract from the opportunity at hand. The opportunity John Seddon describes is breathtaking. We can undo the costly debacle of public sector 'reform', but only if we first change Whitehall. In Part 5 he describes how Whitehall is systemically incapable of listening to and acting on evidence and finally turn to how Whitehall needs to change if we are to turn away from the mistakes of the last 35 years and realise the profound opportunity. anyone interested in public sector reform. ... he is adamant that these three components work best when the policy-maker defines the purpose exclusively in terms that users would support and then stops. Leaving the people-who-do-the-work to decide on the measures and develop the methods that progressively produce better results.